Hull‘s ratings continue to rise under Nigel Adkins with another strong defensive performance at Forest, in stark contrast to still-deteriorating Sunderland. 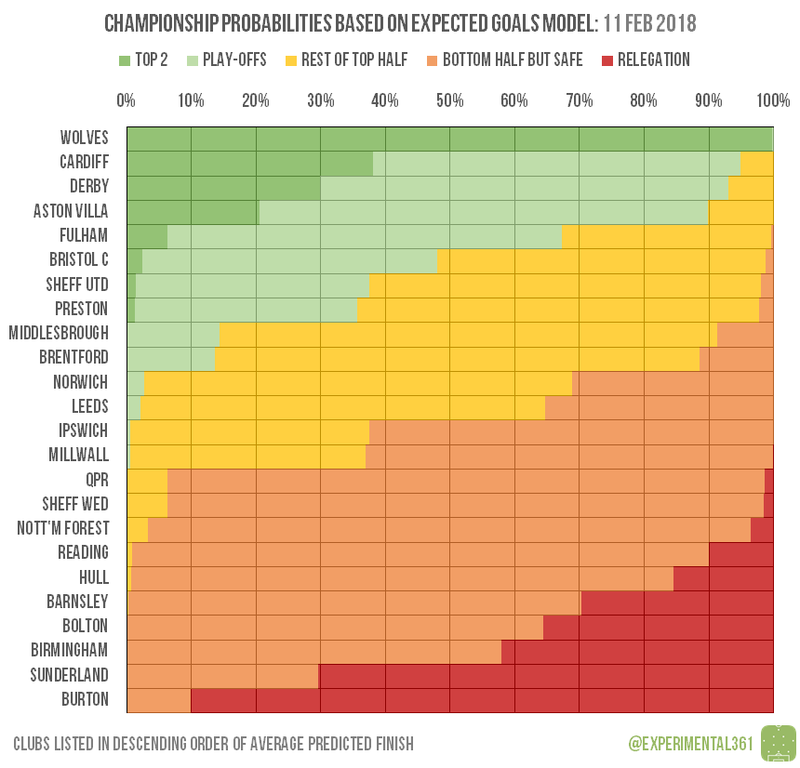 While Aston Villa and Derby are the closest to runaway leaders Wolves in the table, both look to be overachieving slightly as it stands. Villa’s attack is creating worryingly few good chances while Norwich‘s strong showing against the Rams also highlights some potential issues. It’s increasingly difficult to look beyond Wolves for the title after yet another win, but the battle for second place looks set to rage on for a while yet. While they’re fourth, Cardiff are still looking strong enough to edge out both Derby and Aston Villa as it stands. There’s also plenty going on in the play-off race, with Bristol City now having less than a 50:50 chance of making the cut after their three-goal collapse against Sunderland. The Black Cats still look far likelier to go down than survive, with only Bolton looking more precarious at the moment. 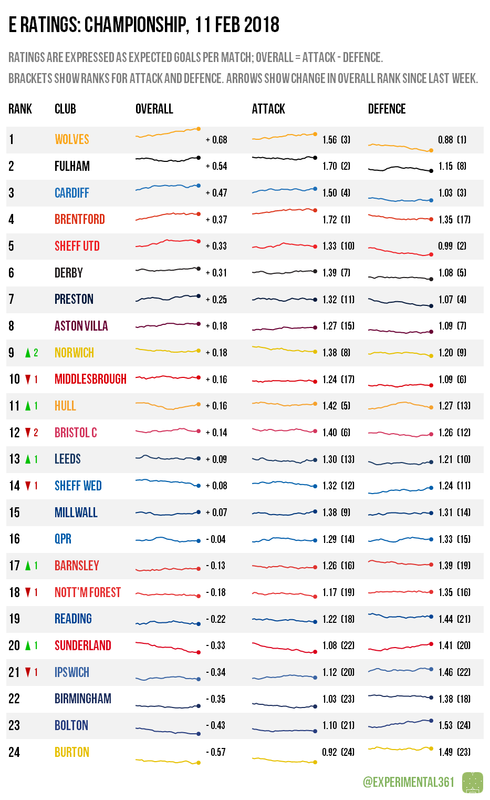 Despite sitting outside the drop zone at present, Birmingham are narrowly predicted to drop into the bottom three, although their are flickers of recovery visible in their ratings.